Whooping cranes are the rarest crane species in the world and one of the most endangered birds in North America. They live on the Texas coast a few months of the year and they spend that time feeding in remote wetlands. So how do U.S. Fish and Wildlife Service biologists know the number of whooping cranes in existence today? The answer: long hours in a small plane flying a grid and looking very, very closely at what is happening on the ground. 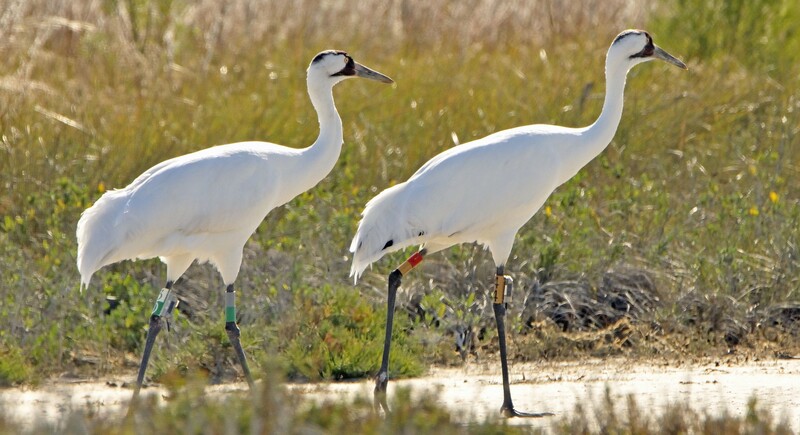 All of the whooping cranes (Grus Americana) alive today, both wild and captive, are descendants of the last 15 remaining cranes found wintering at the Aransas National Wildlife Refuge in 1941. Whooping cranes spend their summers in Wood Buffalo National Park in Canada and fly 2,500 miles to their wintering grounds on the Texas coast at Aransas National Wildlife Refuge. 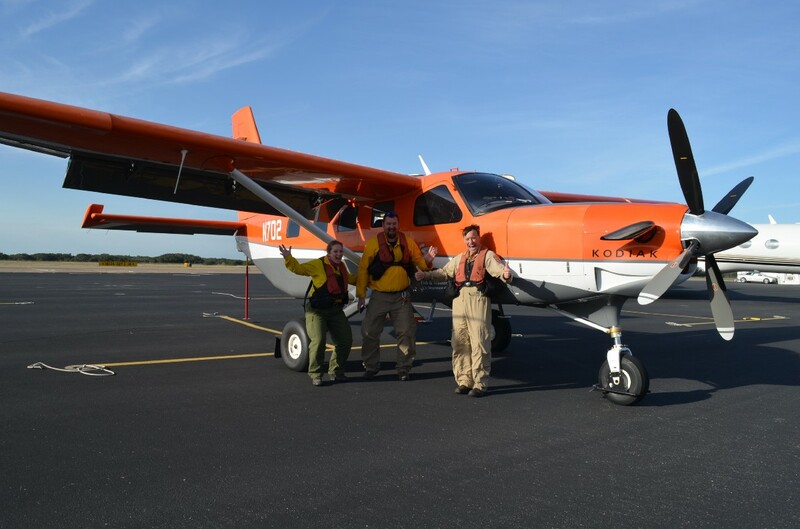 While the birds are on the Texas coast, researchers conduct surveys by plane to gauge the status of the population. Applying a survey protocolestablished in 2011, two biologists and a pilot fly a grid, a set pattern in and around the refuge. They look for and record the location of the whooping cranes using Geographic Information Systems (GIS) on a tablet and a coordinated GPS unit. While flying the grid, biologists have to be able to discern which birds are whooping cranes. Can you tell the difference? Because the whooping crane population is growing, it is important the same protocol be used every year, every survey, and every flight. Surveys are conducted over the course of multiple days and, in order to collect the best data, the protocol requires at least six flights per year. 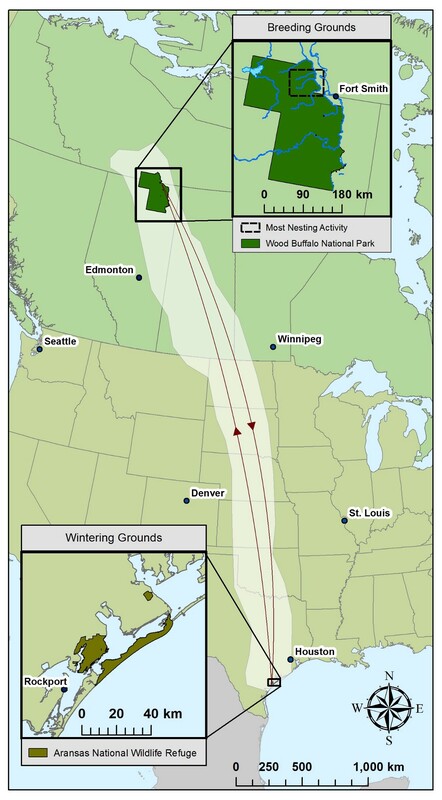 The data collected from the flights is used to calculate an estimate of the whooping crane population. It’s hard to know the exact number of birds since data collection can be affected by many things, including the movement of birds, direction of the sun, similar-looking bird species, and other factors. This is why there are always two biologists surveying from the plane. 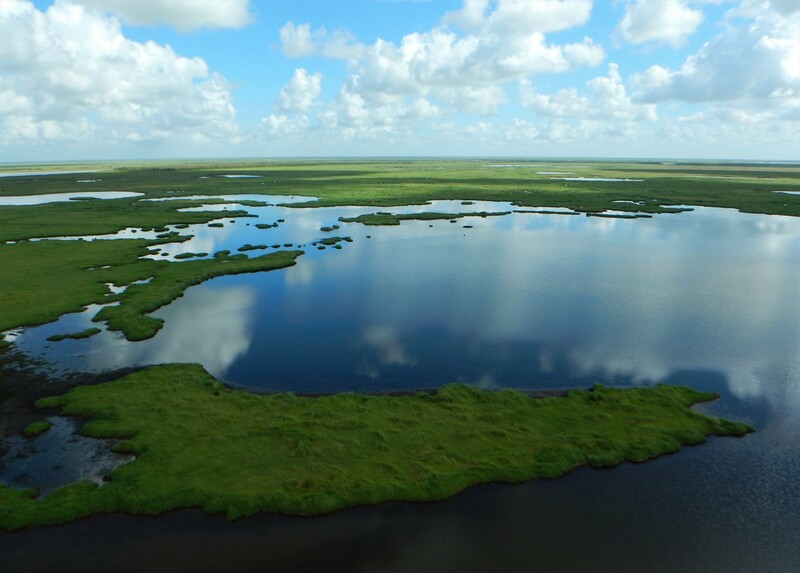 These aerial surveys are an important tool that helps biologists better understand the status of the whooping crane. And the news is good. In 2016, the estimate was 329 whooping cranes, including 28 juveniles. Check out the data collectedsince whooping cranes surveys began in 1950, as well as the most recent survey results. The survey crew is part of the U.S. Fish and Wildlife Service Southwest Region’s Gulf Coast Emphasis Area Team. Want to know about other work being done to ensure there will always be whooping cranes? This video by the Texas Parks and Wildlife Department covers the tracking efforts done with multiple partners, including private landowners.